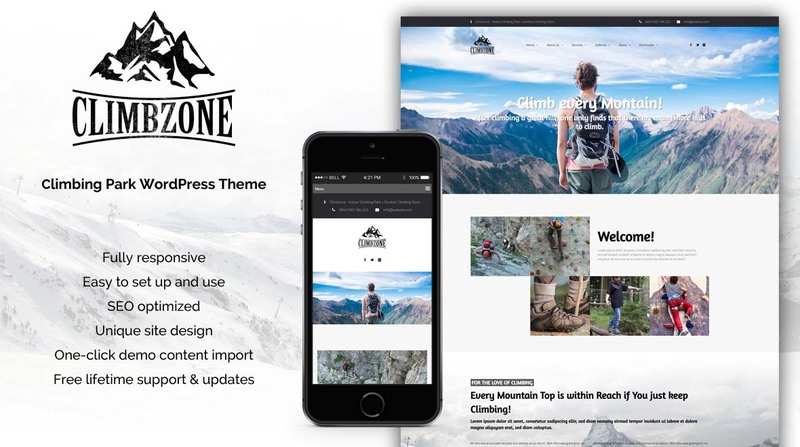 Climbzone is a modern, easy to use, and responsive WordPress theme, made for climbing websites. It is 100% responsive and adapts to any screen size. It comes with countless features like shortcodes, slideshows, galleries, custom post types and many more. We offer Free support and updates for all our themes. If you need help please contact our support team.